Looking for a sentimental video message for Mother's Day? We've pulled this list of our favorite sentimental Mother's Day videos to help show moms love and thanks this Mother's Day. From kissing scrapes, to teaching us to dream, our moms do a lot. And when we examine the many reasons we are thankful for her, we realize that she is more than just "mom." Use this video during your worship service to honor and bless the mothers in the room by saying "Thank you, Mom" this Mother's Day. Mother's Day takes on a deeper meaning as we get older. 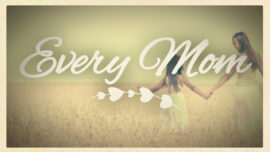 When we look back through our life, we can see how much our moms have given us every step of the way. 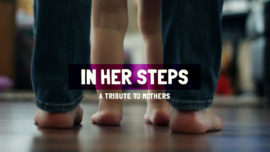 A heartwarming tribute to moms. A salute to the “ordinary glory” of motherhood. Celebrate the kingdom work that moms demonstrate daily in the seemingly mundane, everyday tasks that keep a family going. Perfect for Mother’s Day. 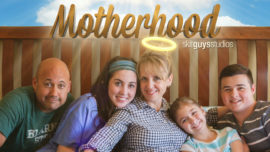 Written and narrated by Lisa-Jo Baker, who believes that motherhood should come with its own superhero cape and blogs about it at lisajobaker.com. Book credits in preview are not included in purchased version of 'Here's to the Mothers'. Moms know all the important stuff like how to build a fort in the living room, the best milk to cereal ratio and whether or not a trip to the emergency room is needed versus "just walking it off". As we get older, this never changes. Watch this video by the Skitzy Chicks about a boy, a bear and a bound-and-determined mom who saves the day. Perfect for Mother's Day or Women's Event. Mother’s Day is a day honor all Moms. It’s a day to support Single Moms, encourage Adoptive Moms, be grateful for Foster Moms and comfort Moms who have lost a child. Not all Mothers travel the same road, but they are each loved by God and loved by those whose lives they have touched. You can read every book and take every class, but nothing prepares you for motherhood like the school of life. From the joy of teaching children how to walk with Jesus to the stress of teaching a teenager to drive, every mom can look back and think of things she wishes she’d known. Your purchase also includes a version without “Happy Mother’s Day” at the end. 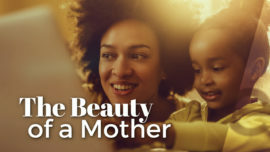 There are so many small parts to a Mother’s life that it can seem ordinary, but there is nothing ordinary about the role of “Mother.” This will connect with and empower every mom to remain strong. Text from a blog post by Lisa-Jo Baker who believes motherhood should come with its own super hero cape and blogs about it at lisajobaker.com. Mothers are wonderful, but not by accident. They protect, comfort, guide, discipline, and love in the same way that God cares for each of His children. By His design, we can the beauty of God through the beauty of a mother. This Mother’s Day, celebrate and honor the moms in your congregation. 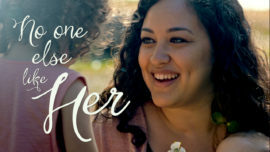 This inspirational Mother’s Day mini-movie will encourage the amazing women in your church. Every mom is unique and beautiful, because God made it that way. Help moms everywhere feel the truth of their own uniqueness and beauty, as they allow that truth to pour over them. From birth to graduation, our first steps to their first grandchildren. Mothers are there for us. Feeding, cheering, laughing, consoling, and through it all––loving us. Peek into this incredible relationship as one son realizes what a gift he has been given. Cleaning up vomit, enforcing curfew, helping out with homework, preparing your kids for life ––motherhood isn’t something that happens all at once. It’s a day-in-day out choice to show up for your family. So…how much time you got?